The best way to edit your photos on iPad. 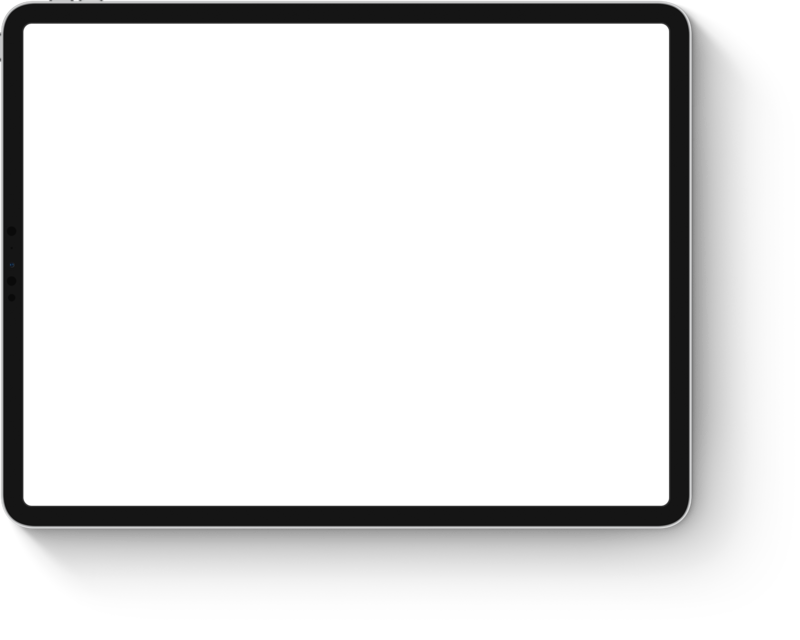 Desktop-class, nondestructive photo editing tools. 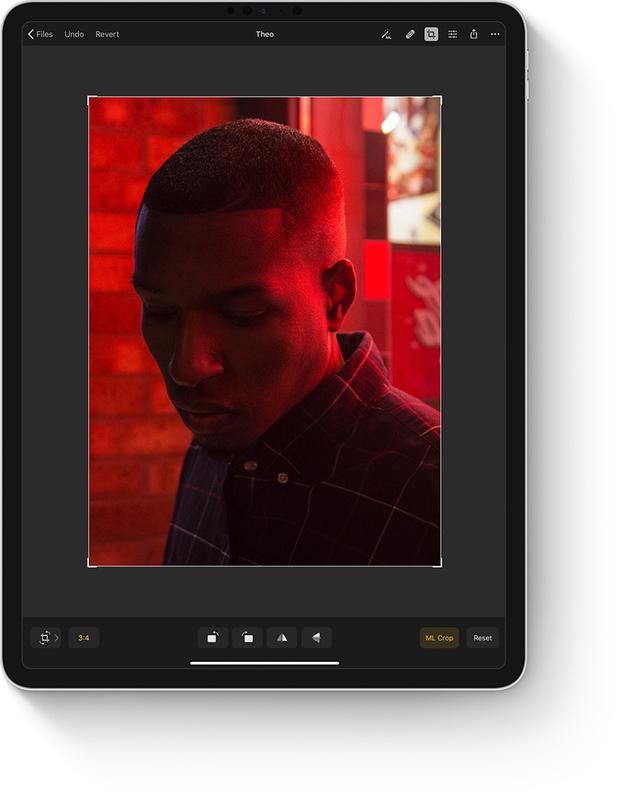 Pixelmator Photo brings a desktop photo editing experience to iPad. With powerful, nondestructive color adjustments like Levels, Curves, Hue & Saturation, Selective Color, and Black & White, it lets you edit the colors of your photos in any way you want. Advanced Adjustments. Make photos shine using a wide range of powerful, desktop-class color adjustment tools. ML-enhanced. Automatically apply Lightness, Color Balance, Selective Color, and other adjustments using a machine learning algorithm trained on 20 million professional photos. Easily open and edit RAW images right on your iPad. 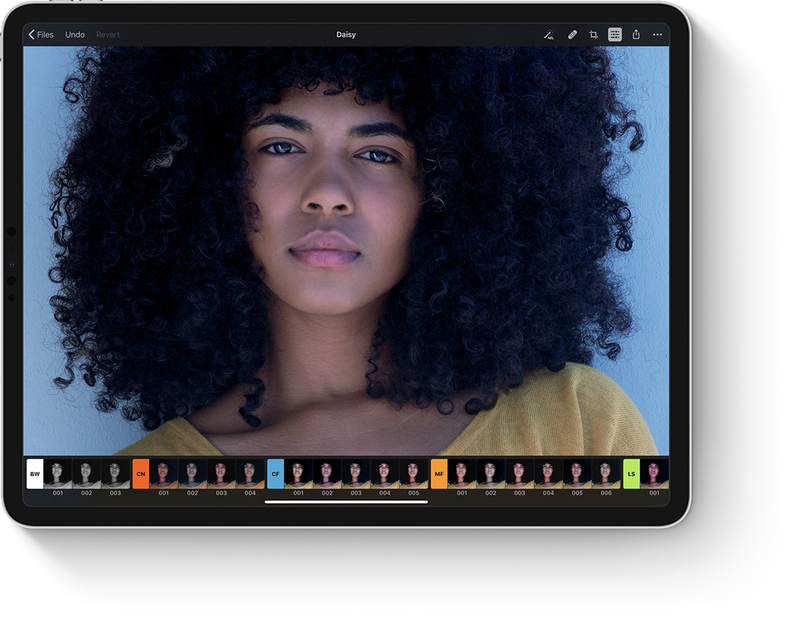 Every adjustment and filter in Pixelmator Photo takes advantage of the extended range data in RAW photos, so you can recover seemingly lost detail and adjust colors with incredible accuracy. Native RAW editing. Pixelmator Photo is built to take full advantage of the extended range data in RAW files. So you can easily recover blown details, even when using ML Enhance to improve RAW photos automatically. Extensive RAW support. 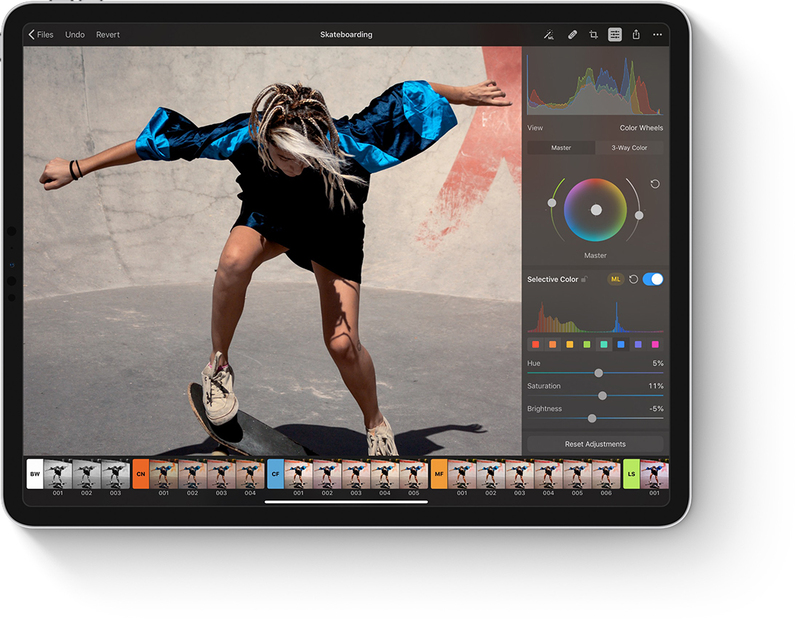 Pixelmator Photo supports RAW images from over 500 of the most popular camera models. Get a head start on getting the perfect photo. 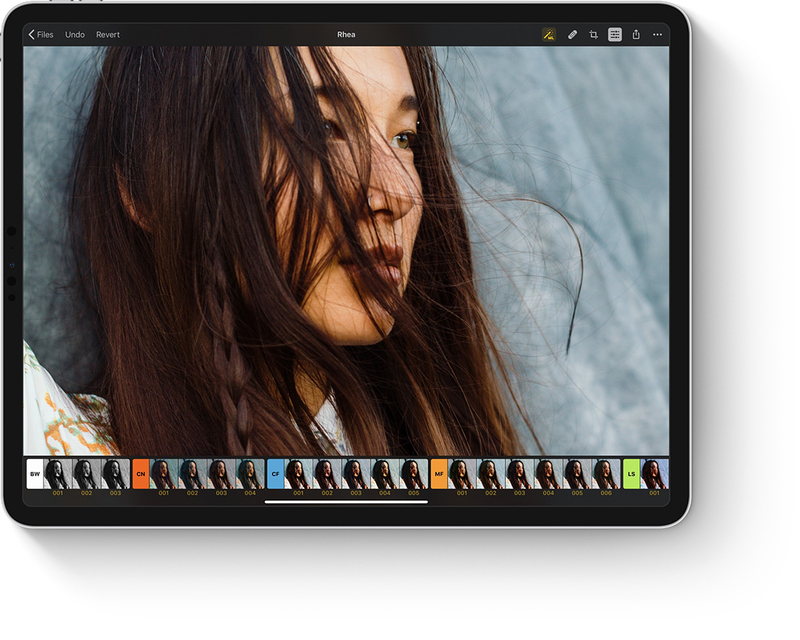 The ML Enhance feature in Pixelmator Photo intelligently improves white balance, exposure, and every individual color range in an image. Using a Core ML-powered algorithm trained on 20 million professional photos, it takes care of all the little things that go into a great photo. So all you need to do is add some creative finishing touches to give photos your own flair. ML Adjustments. Automatically apply individual adjustments — Lightness, White Balance, Hue & Saturation, Selective Color, and Color Balance — using the same Core ML-powered image enhancement model. ML Presets. When you choose a preset after applying ML Enhance, the most important ML Adjustments are retained. So presets are beautifully consistent and consistently beautiful, no matter the photo. Consistently beautiful presets. Powered by Core ML. Pixelmator Photo comes with a collection of gorgeous, handcrafted photography presets for your photos. With 9 unique preset groups, you can easily emulate analog film, apply vintage and cinematic looks, enhance urban or landscape photography, and more. These black and white presets are based on classic black and white films. The black and white look is very versatile and is great for artistic photography, landscapes, portraits, street photography, and many other styles. Especially when you want to add a little drama. Some presets apply film-style grain to create an old-school film feel, others increase contrast for a more striking look. Inspired by the contemporary color grading process used in the movie and video industry, these presets emulate the cinematic look and feel. Many of them are based on the ‘teal and orange’ look, which is a pretty simple but very effective way to get a photo’s colors to pop, emphasizing skin tones and color contrasts. Subtle changes to the colors of the shadows and highlights of an image are key to achieving this look. Before digital, there was analog. And many analog films have become legendary for their visual qualities — these presets are based on some of the most well-known and popular analog films. This collection is great for portrait and lifestyle photography, adding a subtle and tasteful vintage look and feel. Many modern analog films are well regarded for highlighting skin tones, creating pleasing outdoor shots, or having unique grain detail. This collection is based on some of the best films in production today — try them if you’re looking for a more clean and simple look, especially for portrait and nature photography. This collection of presets for landscape photography is designed to boost colors and bring out details in photographs of nature — especially in shots with lots of greens and blues. Along with color changes, the presets also increase contrast for a more striking and eye-catching look. The vintage look never gets old, especially with a more modern take on the old-school feel. Using a combination of faded shadows, tasteful color tints, and film grain, this collection gives photos an aged, yet contemporary look and feel. Created for urban photography, these presets improve the look of shots taken in cities dominated by buildings, manmade structures, and urban life in general. Designed for shots taken in low light, this collection works especially well with photos of cities taken at night. The presets bring out details in the highlights and add tasteful color tints for an artistic finishing touch.. This group contains all the presets from Pixelmator Pro, including presets for creating black and white photos, vintage looks, and eye-catching landscape shots. These presets are especially playful and artistic and can work great with a variety of different photography styles. Here you’ll find all the presets you create. Save any combination of color adjustments as a custom preset to quickly apply them to any of your photos and even share presets with others. Get rid of unwanted objects in your photos. The Repair tool in Pixelmator Photo is more than just a spot removal tool. In fact, it can make entire objects disappear from photos, recreating complex backgrounds with ease. So even if you didn’t quite get the perfect shot the first time around, you can use image editing magic to make sure the final photo looks its best. Easily perfect composition, framing, and perspective. Using the Crop tool in Pixelmator Photo, you can easily improve the composition and framing of your photos, adjust perspective, and even use ML Crop to get a suggestion for how you could improve the composition. ML Crop. Automatically improve the composition of a photo using a machine learning algorithm trained to make photos more striking and eye-catching. ML Crop Presets. ML Crop works seamlessly with aspect ratio presets. So when you’ve automatically cropped a photo and choose a preset, ML Crop adjusts the photo to the new aspect ratio. Built and designed exclusively for iPad. 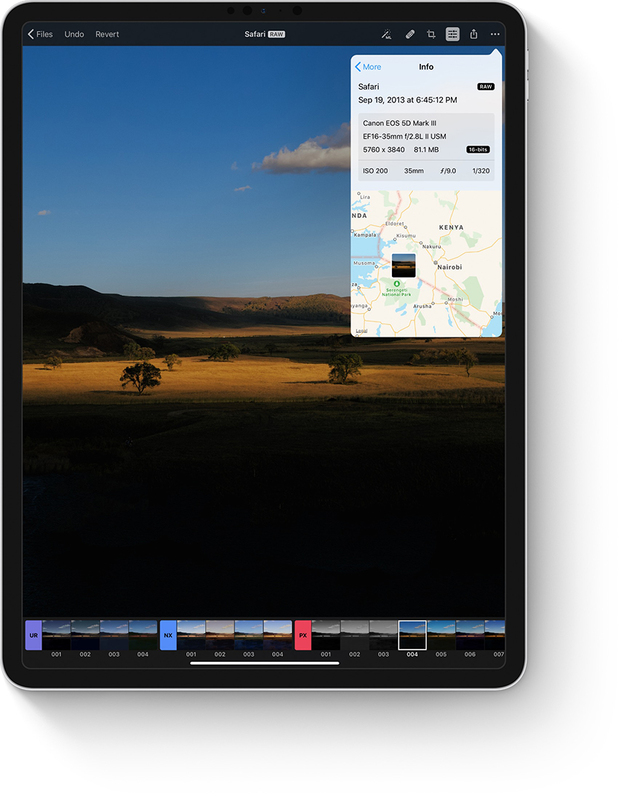 Pixelmator Photo was designed exclusively for iPad, taking full advantage of its large display and 64-bit architecture. And it uses iOS technologies like Metal, Core ML 2, and Core Image to deliver blazingly fast editing, zooming, and scrolling, even in large images. So the only thing that can slow you down is your imagination. Available on the App Store for $4.99.